Obsessed with your custom Chic Sketch and want to show it off to the world? Chic Sketch has just launched merchandise – the best way to make your New Year’s Chic! 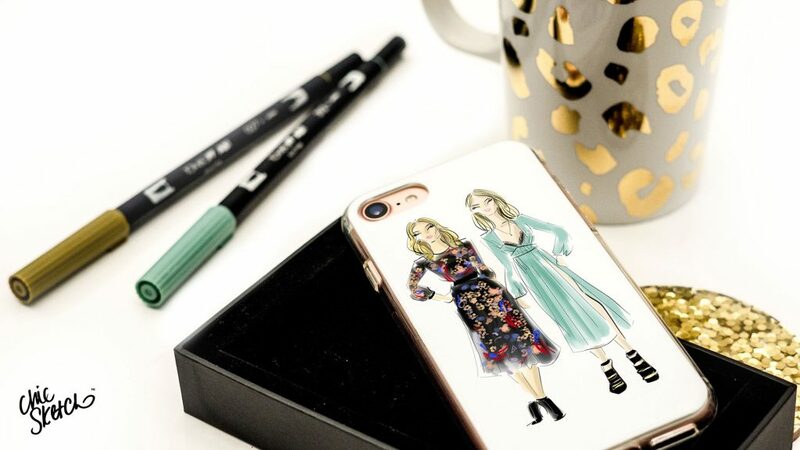 Now you can show off your fab Chic Sketch with a custom iPhone case or picture frame to dress up your outfit, or your desk! Introducing The Chic Case and The Chic Frame! Partnering with the highest quality manufacturer of iPhone cases, these products are all around luxe. A MUST have for the fashionista, trendsetter and the likes, out for a limited time only so grab yours NOW! The Chic Case is available for iPhone 6, 6Plus, 7 and 7Plus. Each case is custom designed by you with multiple ways to display your personalized, hand drawn Chic Sketch. Made of a uniquely customized light weight polycarbonate shell and shock absorbing transparent rubber edge, the color of your iPhone will peek through the case adding an extra dose of personalization. Minimal weight yet strong composition offers a solid protection for your phone without adding bulk. Perfect for withstanding impact and shock diffusion, the snug case allows for a solid grip and the silky-smooth finish leads to a satisfying hand grasp. Stamped with a metallic silver foil Chic Sketch logo inside the case, visible only to you. Each case comes in its own luxe keepsake box. The Chic Frame is available in two sizes, 4 by 6 inches and 5 by 7 inches. 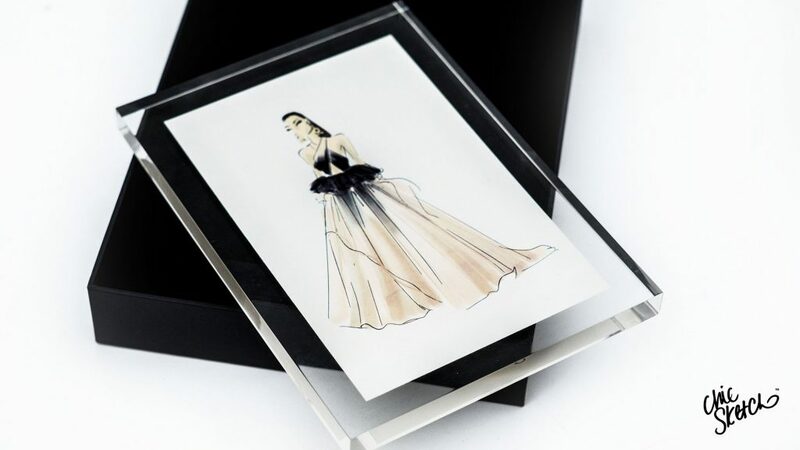 Our one of a kind acrylic Chic Frame is custom made for your order, flawlessly surrounding your custom Chic Sketch in a durable, seamless crystal clear case. Shatter resistant and safe, the Chic Frame is a great edition to your home or office. With dual display options to hang on the wall or rest in a matching acrylic stand, you can change your look any time. The transparent acrylic frame gives the illusion of your beautiful artwork floating in space, complimenting any wall color or décor. Stamped with a metallic silver foil Chic Sketch logo hidden on the back of the artwork. With the holiday season in full swing, this merch will make all of your friends SWOON and be the perfect way to enter 2017 in style! Comes in a beautiful black felt lined box making it gift ready for your loved ones. Make sure you order now because all orders SHIP FREE now – Jan 5th – for a limited time only!